Article 1 - General Contractors. § 87-1. "General contractor" defined; exceptions. § 87-1.1. Exception for licensees under Article 2 or 4. § 87-1.2. Exception for specified Department of Transportation contractors. § 87-2. Licensing Board; organization. § 87-3. Members of Board to take oath. § 87-4. First meeting of Board; officers; secretary-treasurer and assistants. § 87-5. Seal of Board. § 87-6. Meetings; notice; quorum. § 87-7. Records of Board; disposition of funds. § 87-8. Records; roster of licensed contractors; report to Governor. § 87-9. Compliance with Federal Highway Act, etc. ; contracts financed by federal road funds; contracts concerning water or waste water systems. § 87-9.1. Ownership of real property; equipment; liability insurance. § 87-10. Application for license; examination; certificate; renewal. § 87-10.1. Licensing of nonresidents. § 87-11. Revocation of license; charges of fraud, negligence, incompetency, etc. ; hearing thereon; reissuance of certificate. § 87-12. Certificate evidence of license. § 87-13. Unauthorized practice of contracting; impersonating contractor; false certificate; giving false evidence to Board; penalties. § 87-13.1. Board may seek injunctive relief. § 87-14. Regulations as to issue of building permits. § 87-15. Copy of Article included in specifications; bid not considered unless contractor licensed. § 87-15.1. Reciprocity of licensing. § 87-15.2. Public awareness program. § 87-15.3. Identity of complaining party confidential. § 87-15.4. Builder designations created. Article 1A - Homeowners Recovery Fund. § 87-15.6. Homeowners Recovery Fund. § 87-15.8. Application for reimbursement. § 87-15.9. Subrogation for reimbursement made. Article 2 - Plumbing and Heating Contractors. § 87-16. Board of Examiners; appointment; term of office. § 87-17. Removal, qualifications and compensation of members; allowance for expenses. § 87-18. Organization meeting; officers; seal; rules; employment of personnel; acquire property. § 87-19. Regular and special meetings; quorum. § 87-20. Record of proceedings and register of applicants; reports. § 87-21. Definitions; contractors licensed by Board; examination; posting license, etc. § 87-22. License fee; expiration and renewal; reinstatement. § 87-22.1. Examination fees; funds disbursed upon warrant of chairman and secretary-treasurer. § 87-22.2. Licensing of nonresidents. § 87-23. Revocation or suspension of license for cause. § 87-24. Reissuance of revoked licenses; replacing lost or destroyed license. § 87-25. Violations made misdemeanor; employees of licensees excepted. § 87-25.1. Board may seek injunctive relief. § 87-26. Corporations; partnerships; persons doing business under trade name. § 87-27. License fees payable in advance; application of. § 87-27.1. Public awareness program. Article 3 - Tile Contractors. §§ 87-28 through 87-38: Repealed by Session Laws 1977, c. 143. Article 4 - Electrical Contractors. § 87-39. Board of Examiners; appointment; terms; chairman; meetings; quorum; principal office; compensation; oath. § 87-41. Seal of Board. § 87-42. Duties and powers of Board. § 87-43. Electrical contracting defined; licenses. § 87-43.2. Issuance of license. § 87-43.3. Classification of licenses. § 87-43.4. Residential dwelling license. § 87-44. Fees; license term. § 87-44.1. Continuing Education Courses Required. § 87-44.2. Licensing of nonresidents. § 87-46. Responsibility of licensee; nonliability of Board. § 87-47. Penalties imposed by Board; enforcement procedures. § 87-48. Penalty for violation of Article; powers of Board to enjoin violation. § 87-49. No examination required of licensed contractors. § 87-50.1. Public awareness program. § 87-51. Severability of provisions. Article 5 - Refrigeration Contractors. § 87-52. State Board of Refrigeration Contractors; appointment; term of office. § 87-53. Removal, qualifications and compensation of members; allowance for expenses. § 87-54. Organization meeting; officers; seal; rules. § 87-55. Regular and special meetings; quorum. § 87-56. Record of proceedings and register of applicants; reports. § 87-57. License required of persons, firms or corporations engaged in the refrigeration trade. § 87-58. Definitions; contractors licensed by Board; examinations. § 87-59. Revocation or suspension of license for cause. § 87-60. Reissuance of revoked licenses; replacing lost or destroyed licenses. § 87-61. Violations made misdemeanor; employees of licensees excepted. § 87-61.1. Board may seek injunctive relief; retain counsel. § 87-62. Only one person in partnership or corporation need have license. § 87-63. License fees payable in advance; application of. § 87-63.1. Ownership of real property; equipment; liability insurance. § 87-64. Examination and license fees; annual renewal. § 87-64.1. Public awareness program. Article 6 - Water Well Contractors. §§ 87-65 through 87-82: Repealed by Session Laws 1977, c. 712, s. 2.  Article 7 - North Carolina Well Construction Act. § 87-84. Findings and policy. § 87-87. Authority to adopt rules, regulations, and procedures. § 87-88. General standards and requirements. § 87-90. Rights of investigation, entry, access and inspection. § 87-91. Notice of violation; remedial action order. § 87-93: Repealed by Session Laws 1985, c. 728, s. 2. § 87-96. Conflict with other laws. § 87-97. Permitting, inspection, and testing of private drinking water wells. § 87-97.1. Issuance of permit for irrigation water well. § 87-97.2. Issuance of permit for property within service area of a public water system. § 87-98. Bernard Allen Memorial Emergency Drinking Water Fund. Article 7A - Well Contractors Certification. § 87-98.4. Well contractor certification required; exemptions. § 87-98.5. Types of certification; sole certification. § 87-98.6. Well contractor qualifications and examination. § 87-98.7. Issuance and renewal of certificates; temporary certification; refusal to issue a certificate. § 87-98.9. Fees; Well Construction Fund. § 87-98.10. Promotion of training. § 87-98.11. Responsibilities of well contractors. § 87-99. Reserved for future codification purposes. Article 8 - Underground Damage Prevention. § 87-100: Repealed by Session Laws 2013-407, s. 1, effective October 1, 2014. § 87-101: Repealed by Session Laws 2013-407, s.1, effective October 1, 2014. § 87-102: Repealed by Session Laws 2013-407, s.1, effective October 1, 2014. § 87-103: Repealed by Session Laws 2013-407, s.1, effective October 1, 2014. § 87-104: Repealed by Session Laws 2013-407, s.1, effective October 1, 2014. § 87-105: Repealed by Session Laws 2013-407, s.1, effective October 1, 2014. § 87-106: Repealed by Session Laws 2013-407, s.1, effective October 1, 2014. § 87-107: Repealed by Session Laws 2013-407, s.1, effective October 1, 2014. § 87-107.1: Repealed by Session Laws 2013-407, s.1, effective October 1, 2014. § 87-108: Repealed by Session Laws 2013-407, s.1, effective October 1, 2014. § 87-109: Repealed by Session Laws 2013-407, s. 1, effective October 1, 2014. § 87-110: Repealed by Session Laws 2013-407, s. 1, effective October 1, 2014. § 87-111: Repealed by Session Laws 2013-407, s. 1, effective October 1, 2014. § 87-112: Repealed by Session Laws 2013-407, s. 1, effective October 1, 2014. § 87-113: Repealed by Session Laws 2013-407, s. 1, effective October 1, 2014. § 87-114: Repealed by Session Laws 2013-407, s. 1, effective October 1, 2014. Article 8A - Underground Utility Safety and Damage Prevention Act. § 87-116. Declaration of policy and purpose. § 87-118. Reserve to the State the power to regulate. § 87-119. Costs associated with compliance; effect of permit. § 87-120. Notification Center; responsibilities. § 87-125. Notice in case of emergency excavation or demolition. § 87-126. Notification required when damage is done. § 87-128. Absence of facility location. § 87-129. Underground Damage Prevention Review Board; enforcement; civil penalties.